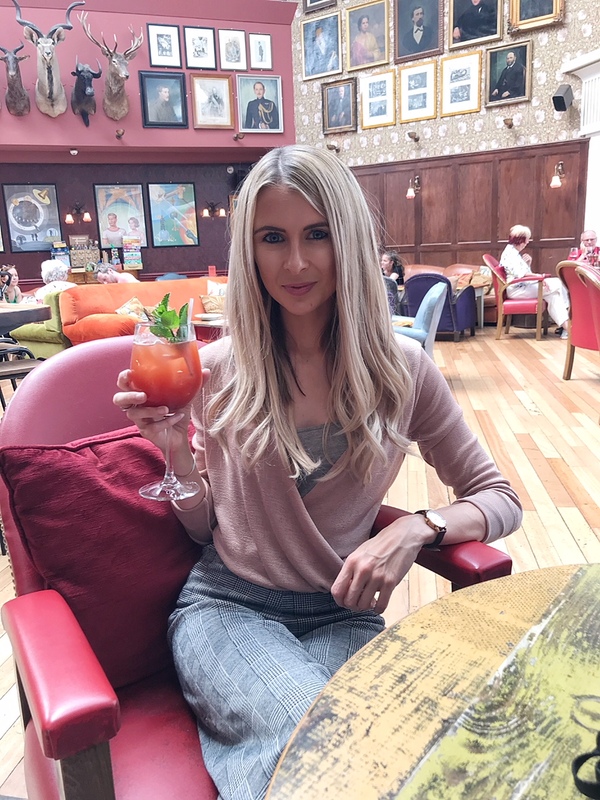 I recently shared my experience at Angela Mason Hair Extensions over on Instagram last week, and the response from everyone was INSANE. I knew that my photos of my hair transformation would be greatly received, but I didn’t expect to be bombarded with so many messages all at once! 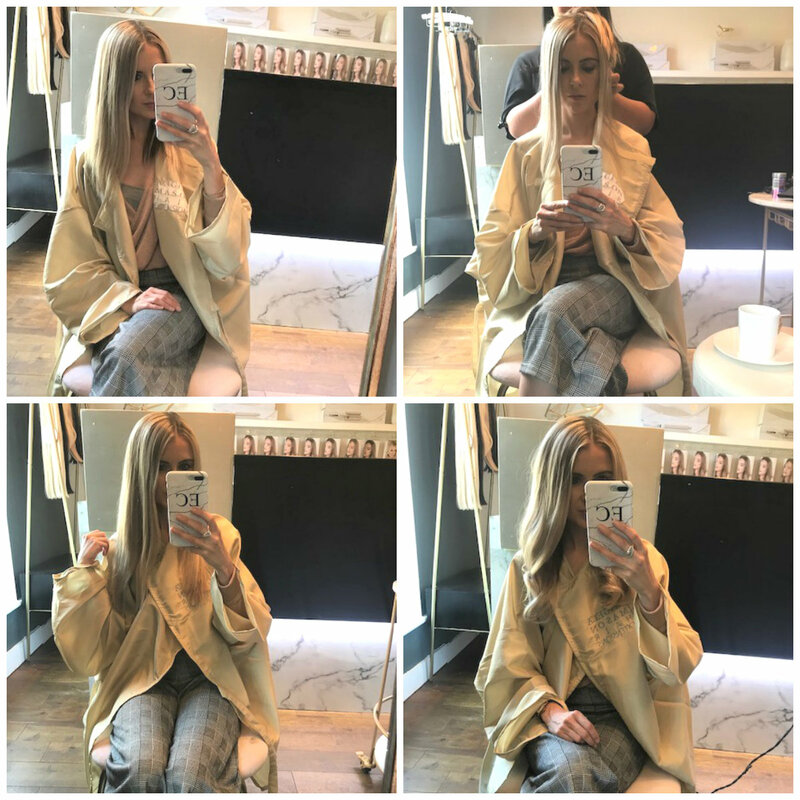 It was incredible to see so much interest, mainly because I literally had the BEST time at this salon last week… so here I am sharing a little more info with you. On my actual birthday (because a hair appointment is a real treat right, so why not book in on your birthday!?) 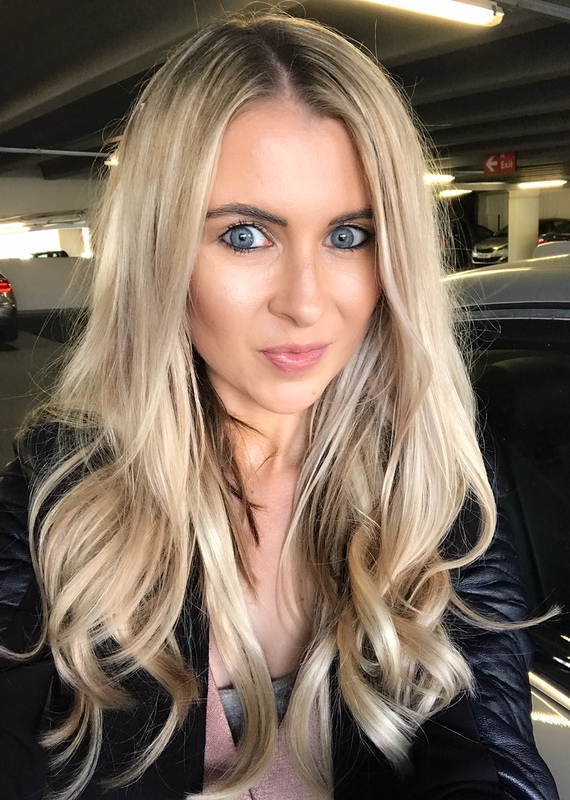 I headed down to Angela Mason Hair Extensions salon in West Didsbury. It’s also know as the AM Retreat – as the salon is home to various beauty treatments and hair colouring/cutting services too. 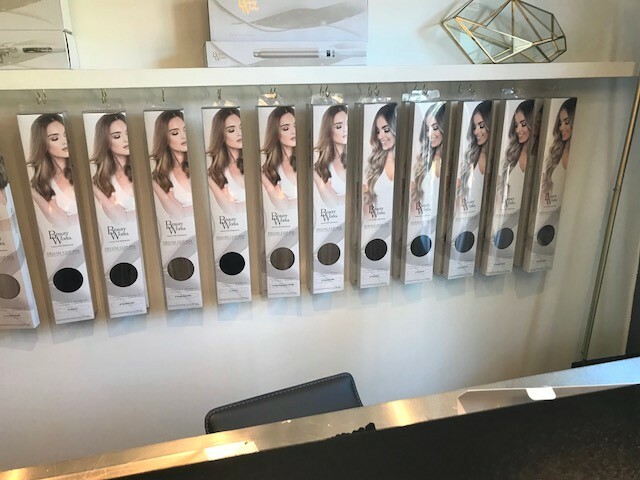 Set over two creative and inspiring floors, Angela Mason Hair Extensions, on Burton Road in West Didsbury, is one of the most beautiful destinations hair and beauty transformations I’ve seen in Manchester. The minute I stepped in, I was overwhelmed by what I can only describe as the most stunning interior. 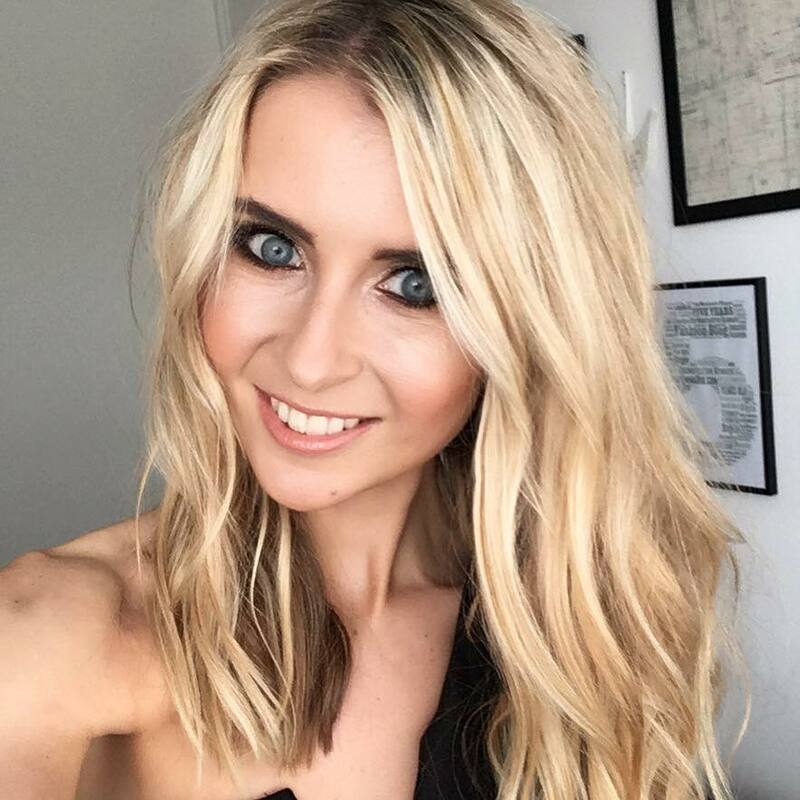 If you have an upcoming occasion, such as a party, a wedding, or you just want to invest in hair extensions and have them chosen for you professionally, along with cut, styled and fitted, then this place is your dream. 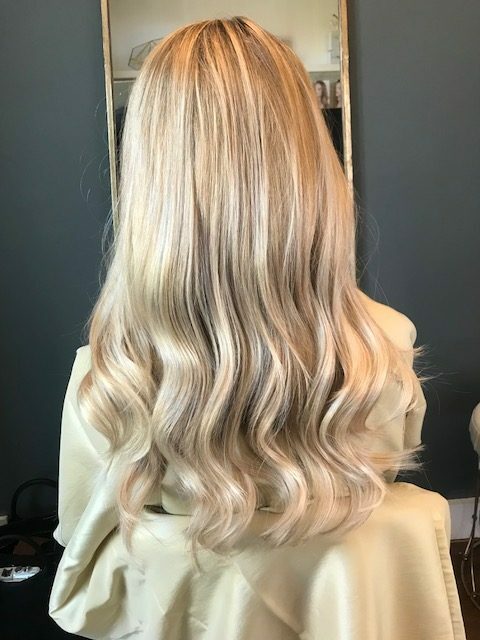 I enjoyed a full consultation with the talented Angela (who has done a brilliant job of creating what I like to call a ‘hair sanctuary!’) who selected a lovely soft, creamy blonde shade of Beauty Works clip-in extensions. She did a fab colour match, cut and fit, before styling my long flowing extensions into tumbling waves. 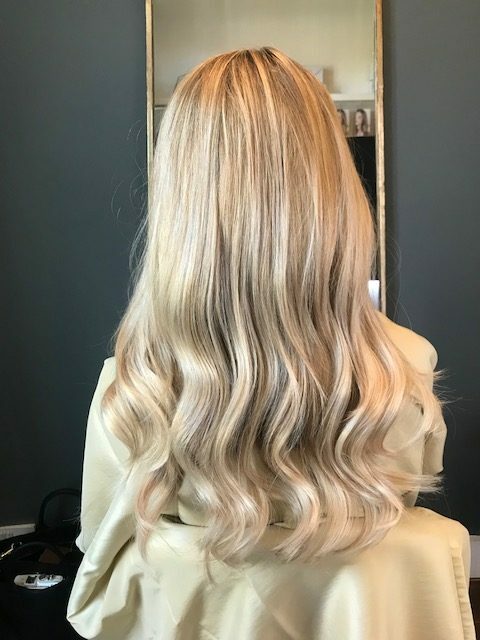 If you wish, you can head to Angela’s salon for a luxury blow dry at the AMBlow dry bar, or even train in hair extensions on our second floor AMAcademy. When Angela gave me a tour of the salon, I found out you can get all sorts of beauty treatments and reiki done at the AMRetreat. And again, this section of the salon is just as relaxing and pretty as the rest of the place. 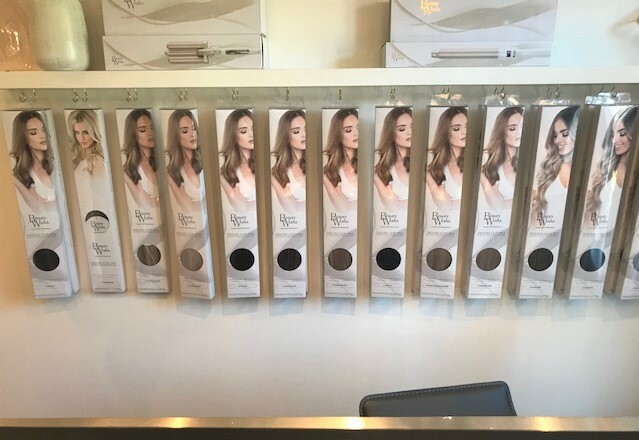 As you can see from the photos above and below, the array of shades of Beauty Works hair extensions is more than extensive, so you can guarantee Angela can get a perfect colour match. My colour is fantastic – I can’t believe how well they blend into my mid-length blonde hair. 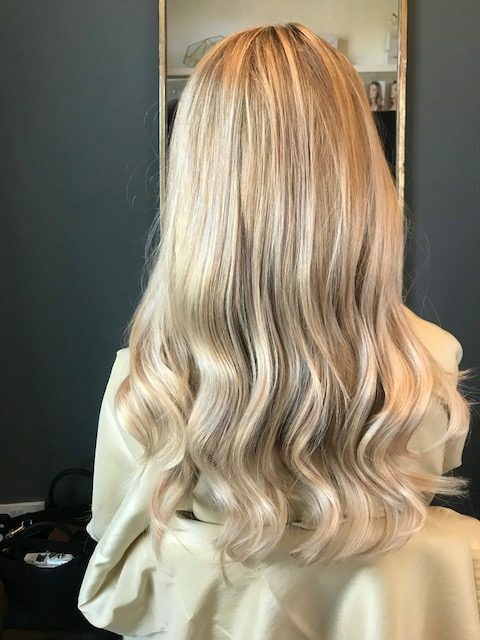 For a full range of Angela’s services – whether it’s hair extensions, clip ins, colour, beauty, the works… you can find out here by visiting the website. 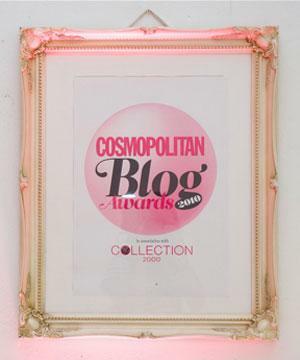 My only worry since leaving the salon is that I’ll struggle to style my extensions as well as Angela did. But hey, at least I know that I can always book in when I have an event coming up, and Angela can work her magic on them again.